It is time for another fish recipe! I came across this beautiful dish online and wanted to challenge myself to make it on my own using ingredients from Milk and Eggs. 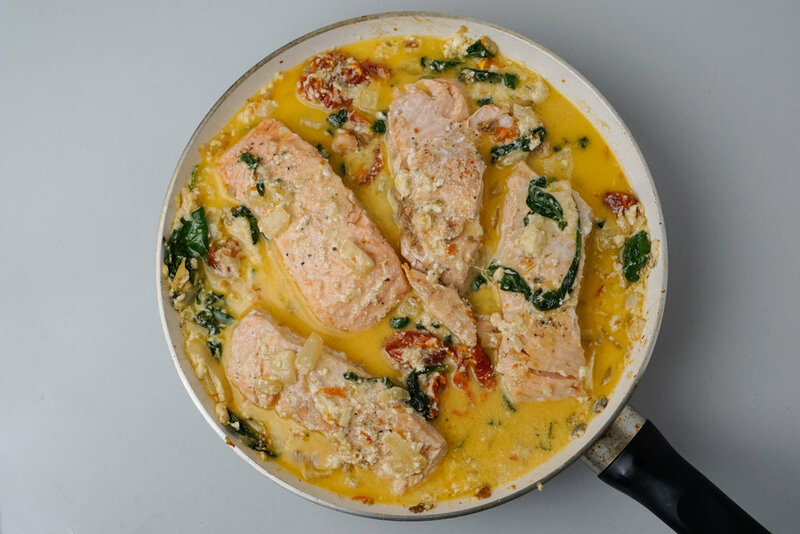 I adapted this recipe from: https://cafedelites.com/creamy-garlic-butter-tuscan-salmon/. I hope you like it! 1. Heat oil in a large skillet over medium-high heat. Season the salmon fillets on both sides with salt and pepper, and sear them in the hot pan, flesh-side down first, for 5 minutes on each side. Once the fillets are cooked, remove them from the pan and set aside. 2. Melt better in the remaining juices in the pan. 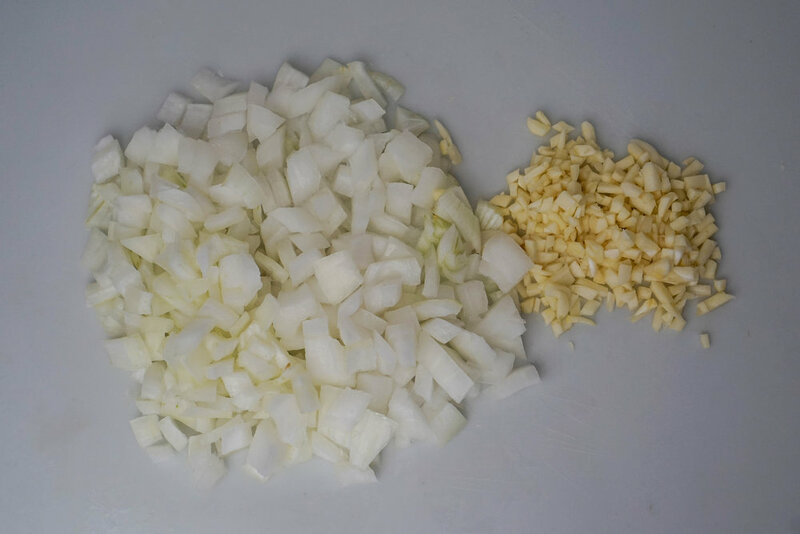 Add the garlic and fry for one minute, until fragrant. Add in the onion and fry. 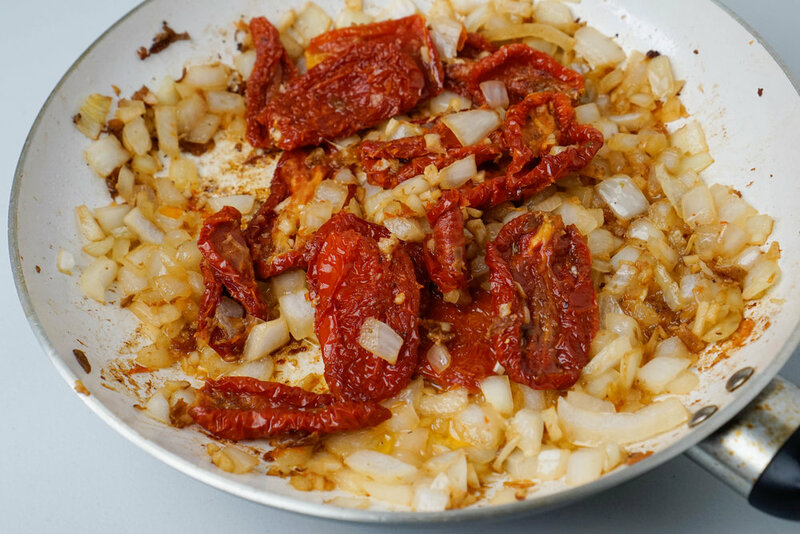 Add in the sun-dried tomatoes and fry for 1-2 minutes to release their flavors. 3. Reduce the heat to low, add in the half and half, and bring the sauce to a gentle simmer, while stirring occasionally. Season with salt and pepper to taste. 4. Add in the spinach leaves and wilt them in the sauce, then add in the parmesan cheese. Allow the sauce to simmer for another minute until the cheese melts throughout the sauce. For a thicker sauce, add the cornstarch mixture to the center of the pan and continue to simmer and stir the mixture until the sauce thickens. 5. 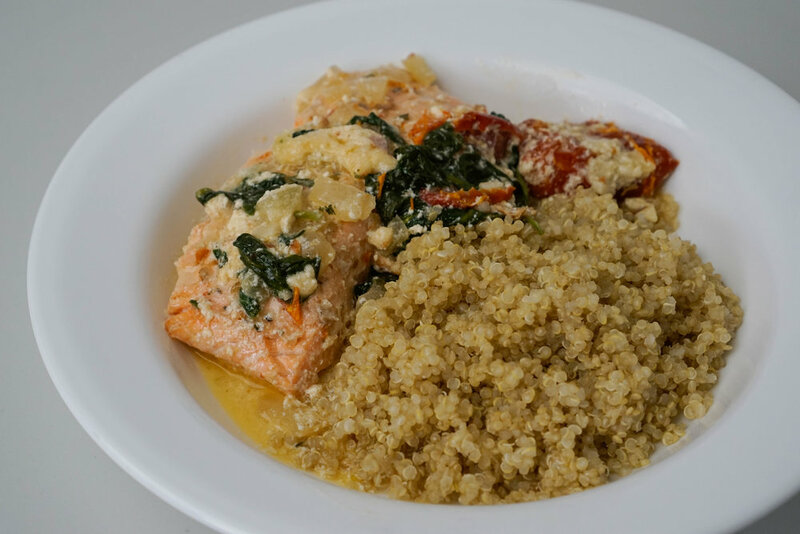 Add the salmon back into the pan, sprinkle with the parsley, and spoon the sauce over each fillet. 6. Serve over pasta, rice or steamed vegetables.